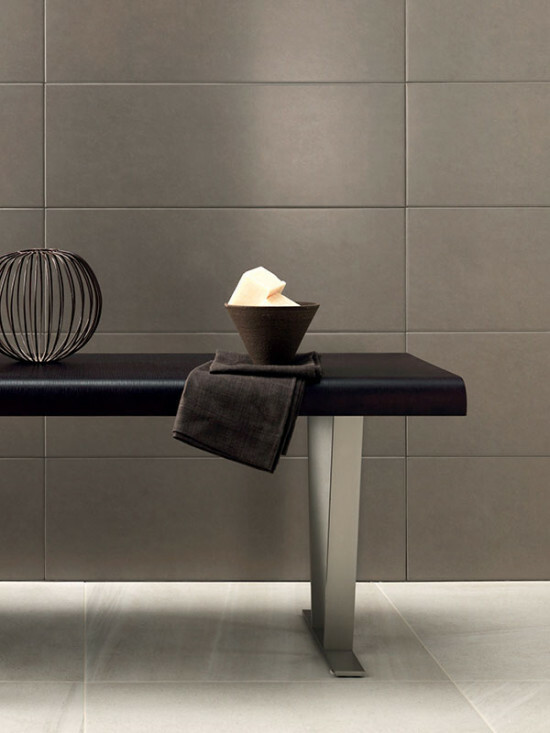 Despite the economic freeze gripping much of Italy, more than 100,000 attendees—50 percent of whom came from outside the country—converged on Bologna for the 2013 edition of Cersaie, the world’s largest ceramic tile fair. 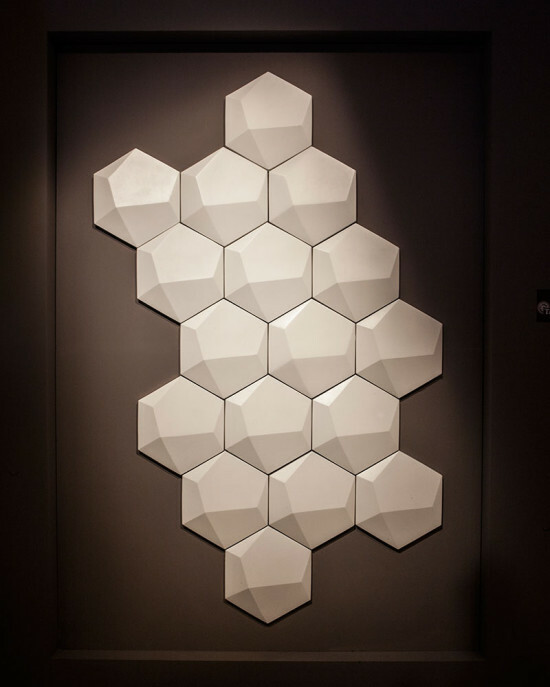 In addition to daily educational sessions and a keynote from Pritzker Prize winner Rafael Moneo, 900 product exhibitors filled the halls with the newest iterations of stone and tile looks on porcelain and ceramic. Textile-influenced surfaces were particularly prevalent, as were recreations of hand-crafted, custom-made tiles thanks to more affordable production methods. 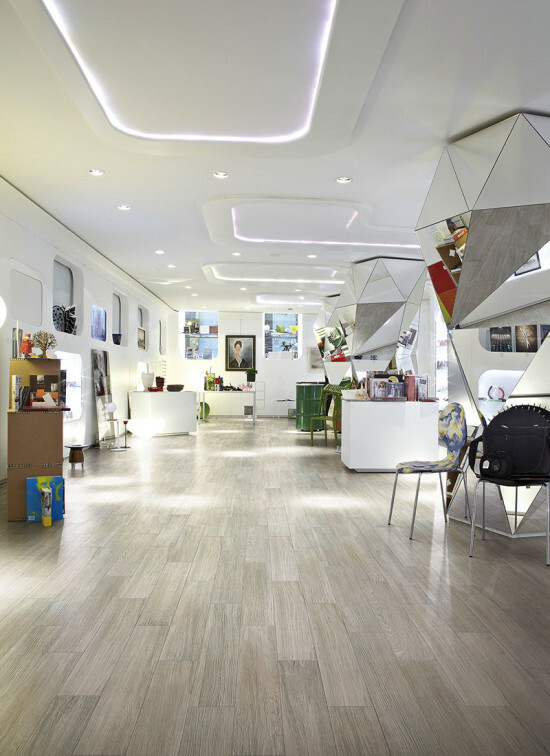 Though nearly every company exhibiting at Cersaie 2013 boasted some kind of wood look, Cerim’s (above) stood out for its realistic color and graining, and authentically placed embossing. Available in five tones on three differently sized planks, the collection also comes in two finishes for indoor and outdoor flooring applications. 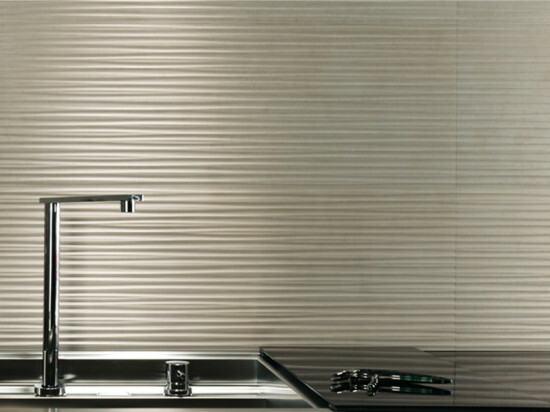 The deeply textured white body wall tile carries movement seamlessly from section to section with a proprietary tone-on-tone grouting system for larger applications like feature walls. A satin finish enhances the curves. Meltin comes in four neutral colorways. Reminiscent of a traditional herringbone, Type 32 is available in four patterns with cold or warm color accents on four different bases. 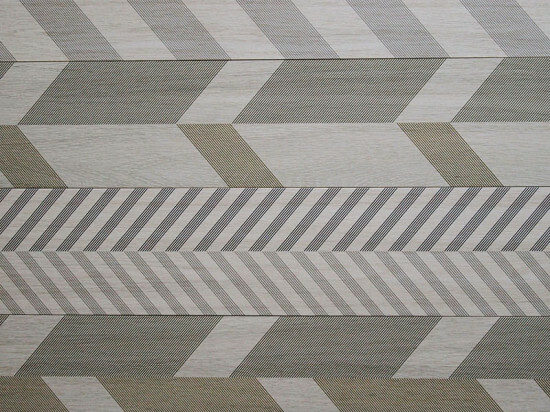 Its zig-zag pattern can be installed in layouts that enhance its graphic print, or highlight a more traditional wood floor. Patterning is digitally printed on thin, 2-inch-thick long planks that measure 7.8 by 78 inches. Matrix was one of several textile-inspired new collections at the fair. Sporting a Chilewich-style weave, the glazed floor tiles measure 20- by 20-inches at approximately a 1/2-inch thickness. Fourteen matte colors play nicely with most wall finishes, and coordinating base trim is also available. 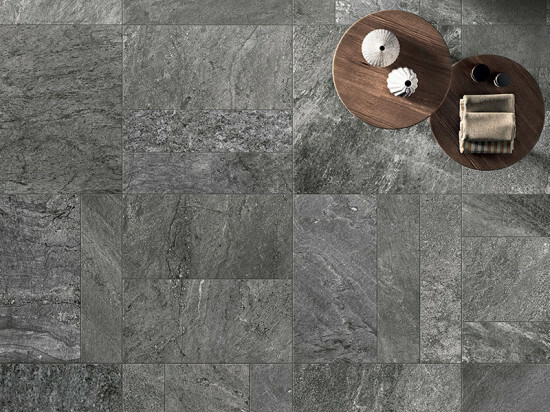 As its name indicates, this collection digitally blends quartzite, slate, travertine, and limestone patterns for a unique stone look across six colorways. 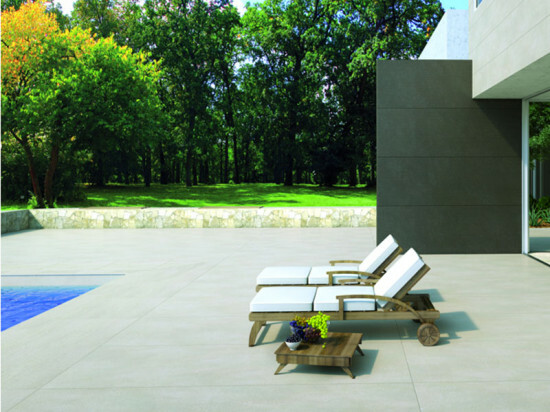 Seven rectified and two non-rectified sizes are finished in matte and anti-slip finishes for wall, floor, and outdoor applications. Noor replicates a unique stone found in the Italian town of Gré, just off the shores of Lake Iséré. 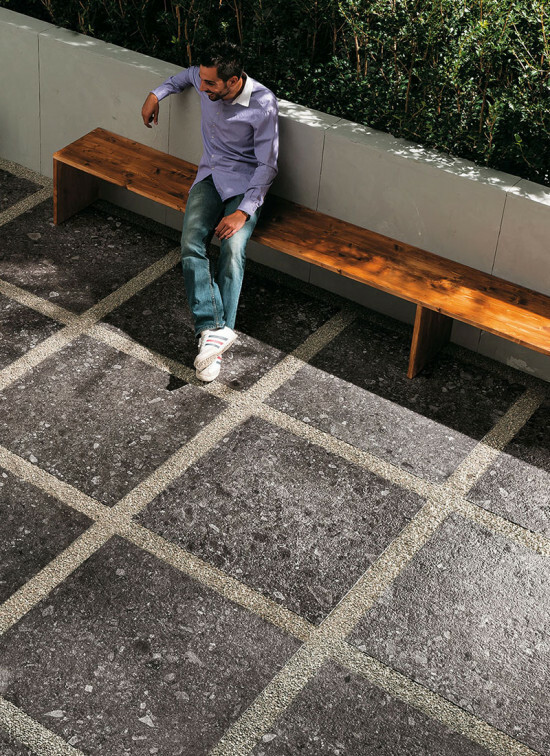 From digital scans, Mirage replicated the stone in three shades across nine formats for walls, indoor flooring, raised floors, and outdoor pavers. 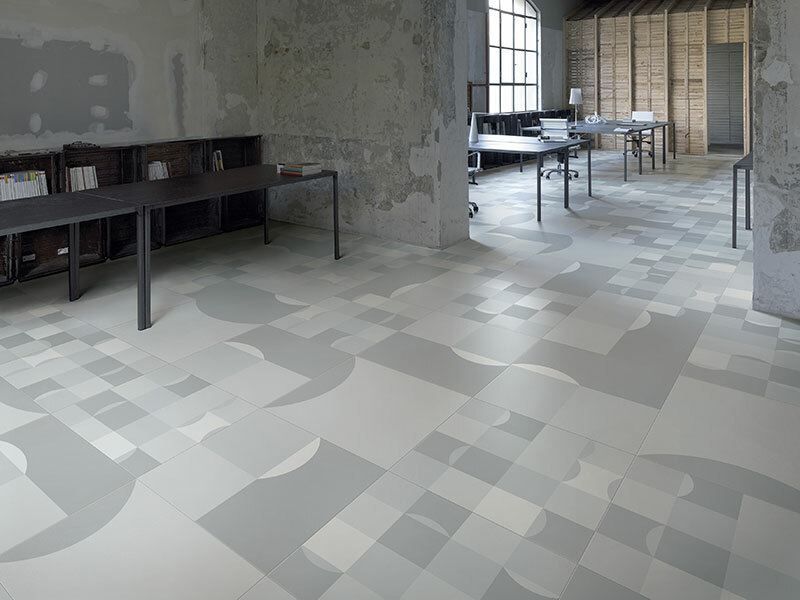 For added wear, Noor features through-body color and patterns that differ only slightly from the surface pattern. Bolstering a trend at the show toward customization, the Basic collection of wall tile appears hand textured in the fashion of Japanese raku ceramics but is extruded along a factory line. 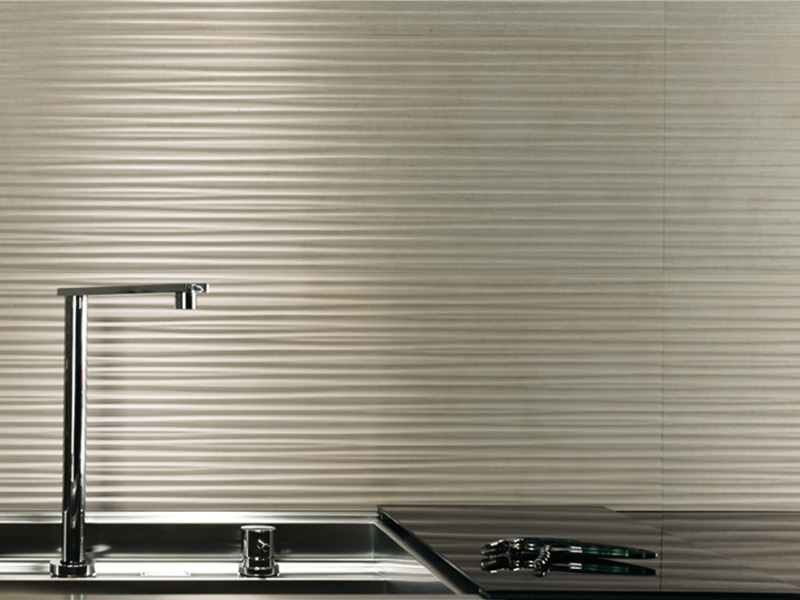 Available in six colors on a 13- by 38-inch tile, a line of coordinating decorative panels and mosaics is also available. 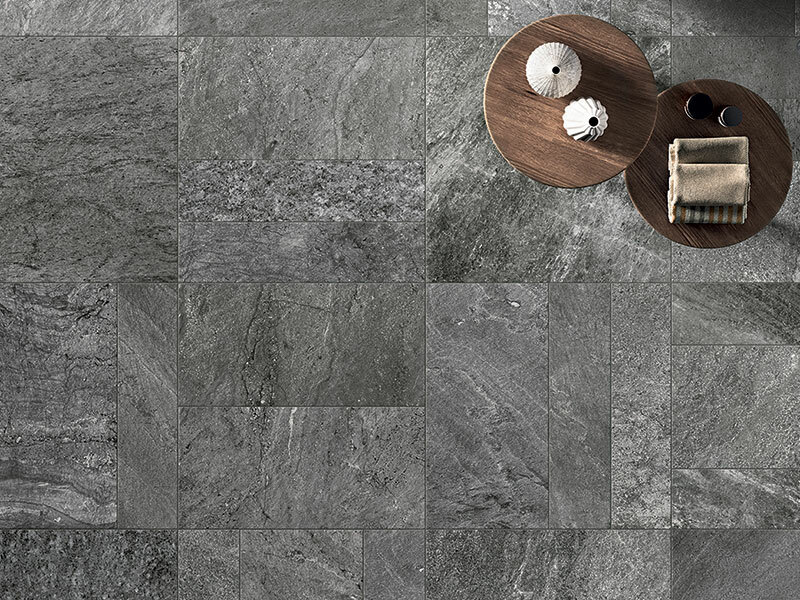 Delicate texture evokes a combination of concrete treatments, all realized simultaneously on a porcelain tile. 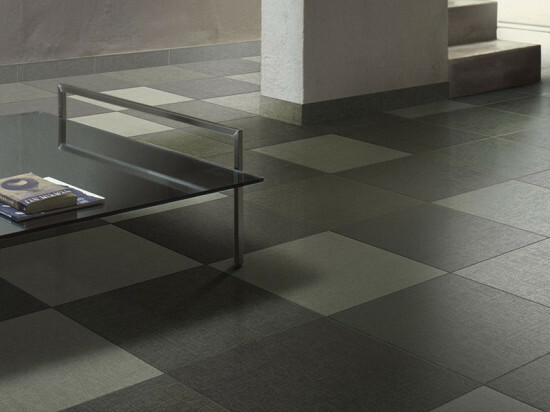 Rectified formats come in five different sizes, as well as a non rectified 17-inch tile. Five neutral colors are available in a natural or more deeply textured surface finish. Following up to its Frame collection with Studio FM Milano is a collection of even larger graphics for tile. For Vanguard Circle and Square, 18th century Emilia majolica tiles receive a Midcentury avant-garde twist in interchangeably large and small patterns. Both patterns come on a 24-inch porcelain format. Smooth texture over solid tones produces a suede-effect on the Unique Collection. 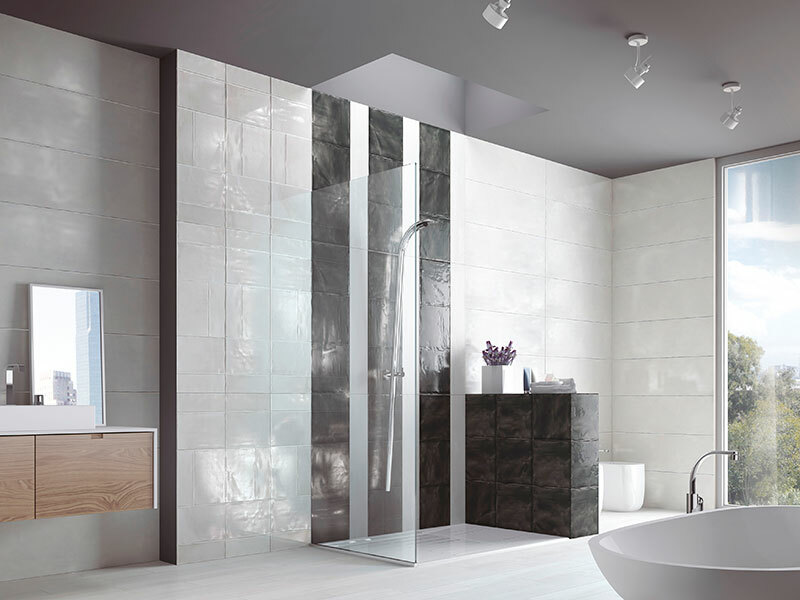 Designed to coordinate with bas relief and patterned designs within the collection, 10- by 30-inch tiles can also be combined with trim and mosaic components. At 40 by 120 inches and only 5.6 mm in thickness, this large format, thin porcelain tile clads outdoor decking, facades, and more with the fortification of a fiberglass sheet. 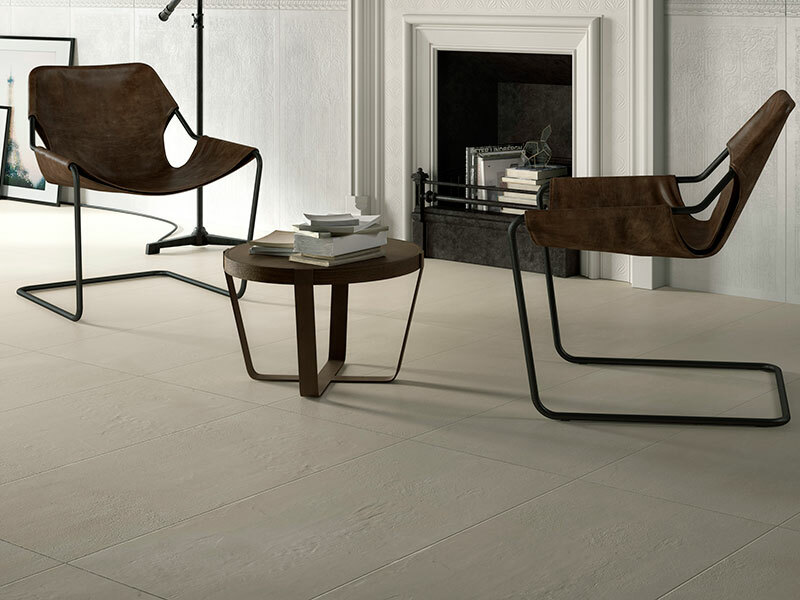 Available in six neutral colorways, the collection can be specified in a natural or lappato finish for interiors, or an anti-slip finish for outdoors. Developed for Misericordia di Terranuova Bracciolini in central Italy, Tagina worked with architect Marco Casamonti over a three-month period for a custom facade treatment. The hand-pressed hexagonal tiles will be finished with an ochre glaze that naturally resists fading in the harsh Tuscan sun.